"I’ve truly learned the definition of unconditional love," Will Smith said. camera (Frazer Harrison/Getty Images, FILE) John Krasinski and Emily Blunt attend the 25th annual Screen Actors' Guild awards at the Shrine Auditorium, Jan. 27, 2019, in Los Angeles. Love is certainly in the air today as couples celebrate Valentine's Day across the globe. And celebs are no different, as they are all just looking for the right person to love and spend their life with. 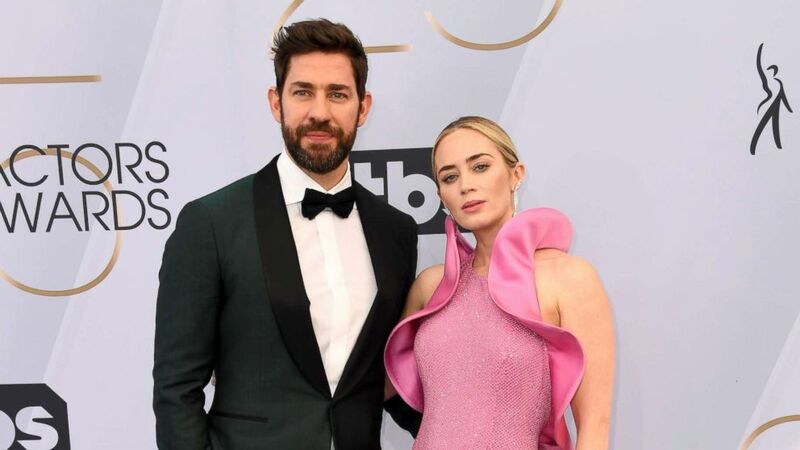 From John Krasinski and Emily Blunt to George and Amal Clooney, here are some sweet sentiments shared by your favorite celeb couples on love, marriage and soul mates. The definition of relationship goals, Krasinski and Blunt are each others biggest supporters. And that was once again made loud and clear last month at the 2019 Critics' Choice Awards, where Krasinski won an award for "A Quiet Place." About working on this film with his wife, he said, "I got to make a movie about a love story and a love letter to my kids. I got to do it with the love of my life by my side, so I'm pretty sure it doesn't get much better than that. Thank you so much." (Frazer Harrison/Getty Images, FILE) John Krasinski and Emily Blunt attend the 25th annual Screen Actors' Guild awards at the Shrine Auditorium, Jan. 27, 2019, in Los Angeles. When Blunt won a SAG Award for her role in the film, her speech was just as adorable. "I am going to share this completely with my husband John Krasinski, who, because the entire experience of doing this with you has completely pierced my heart directly. You are a stunning filmmaker. I’m so lucky to be with you and to have done this film with you. Thank you for giving me the part. You would have been in major trouble if you hadn't. So you really didn’t have an option but thank you. And thank you to the two little poems in our life, our daughters, Hazel and Violet who will have to be at least 45 before they can see this film but they’ll be proud of you nonetheless," she said. The "Guardians of the Galaxy" star recently got engaged to Schwarzenegger and for her birthday he had the sweetest message ever! "Happy Birthday Chief! Your smile lights up the room. I’ve cherished our time together. Thrilled God put you in my life. Thankful for the laughs, kisses, talks, hikes, love and care," he posted on Instagram. Happy Birthday Chief! Your smile lights up the room. I’ve cherished our time together. Thrilled God put you in my life. Thankful for the laughs, kisses, talks, hikes, love and care.???????? The actor has never stopped gushing about his very accomplished wife. In fact, he likes to often tell media he "married up" and that the lawyer is actually out of his league. In 2015, he gushed to Entertainment Tonight about Amal, saying: "She's an amazing human being and she's caring. And she also happens to be one of the smartest people I've ever met. And she's got a great sense of humor. There's a number of reasons why [I fell in love]." 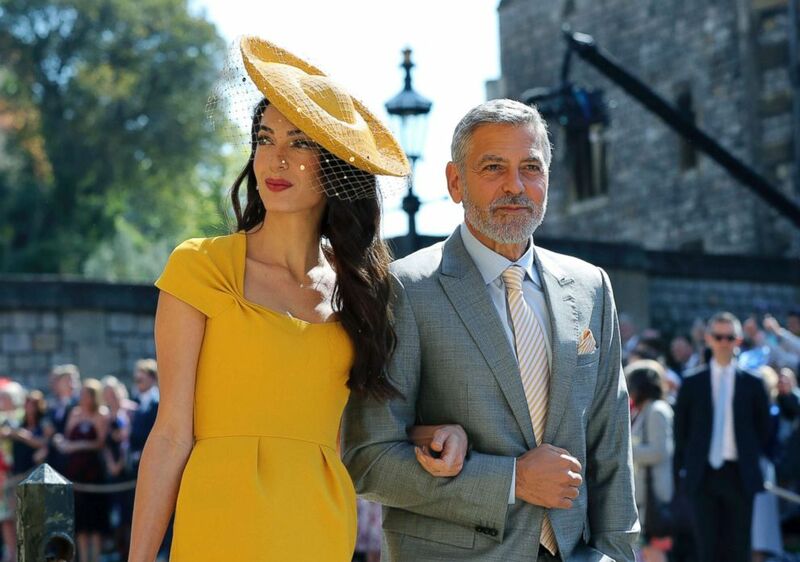 (Gareth Fuller/AP, FILE) Amal Clooney and George Clooney arrive for the wedding ceremony of Prince Harry and Meghan Markle at St. George's Chapel at Windsor Castle in Windsor, near London, May 19, 2018. He didn't forget to bring up his wife's well-known sense of high fashion. It's not all about rainbows and sunshine either. For his 14th sobriety anniversary,Kristen Bell penned the sweetest note of support to husband Dax Shepard. "To the man mocked me in our wedding photos because I cried too many tears of joy, Who wore a baby Bjorn for 2 straight years to show his girls how to be as adventurous as possible," Bell began in her usual sarcastic way. But then she got serious, adding, "I know how much you loved using. I know how much it got in your way. And I know, because I saw, how hard you worked to live without it. I will forever be in awe of your dedication, and the level of fierce moral inventory you perform on yourself, like an emotional surgery, every single night." John Legend delivered a heartwarming speech for his wife, Chrissy Teigen, this past November at Glamour's 2018 Women of the Year Awards. The singer and father of two opened his loving tribute by describing himself as, "Chrissy Teigen’s trophy husband." "Sometimes Chrissy likes to take me out on the town and show me off a little. Nights like this one, when people are taking pictures," he joked to the crowd. The singer gushed about his famously outspoken wife and described her impact on their family, moving himself and Teigen to tears with his words. "I have a career in the music business, but we all know who the star of the family is,” he said. “She’s the heart and soul of the family too." When it comes to this love story, the Oscar-winner is never afraid to gush about his wife of 30 years, Rita Wilson. He added about the love of his life, “They say it must be hard work. No it’s not." Sometimes you can tell someone how much they mean to you in just a few words. Last year, Ellen DeGeneres shared a beautiful wedding video for her 10th anniversary to Portia de Rossi. "Ten years ago today. This was such a special day for us," she captioned the clip. But it's what she and her wife said to each in the actual video that really counts. Ten years ago today. This was such a special day for us. ?? In the clip, you see the serious side to DeGenerous as she fights back tears on her wedding day, watching as de Rossi steps out in her flowing wedding dress. "Oh my God," DeGeneres says, greeting her bride, as de Rossi adds, "You look beautiful." One of the strongest relationships in Hollywood is Will and Jada Pinkett Smith. The duo have been married for more than 20 years and are always real about how they define love and a partnership. "There’s nothing that could happen that we won’t be together and love each other," Will said last year on her show "Red Table Talk." "I’ve truly learned the definition of unconditional love. I love you, I support you, I’m going to help you be happy no matter what. I don’t have to like it. I describe it as the day the deal breakers are gone. We don’t have any deal breakers,” he said. Goldie Hawn and Kurt Russell are going on 35 years together and the duo support each other in every way. Though, just like everyone else, it takes work. "We have our ups and downs like everybody else," Hawn told People magazine in 2016. "You have to want to stay together – to stay together and we really want to be together. Therefore you work to be together." 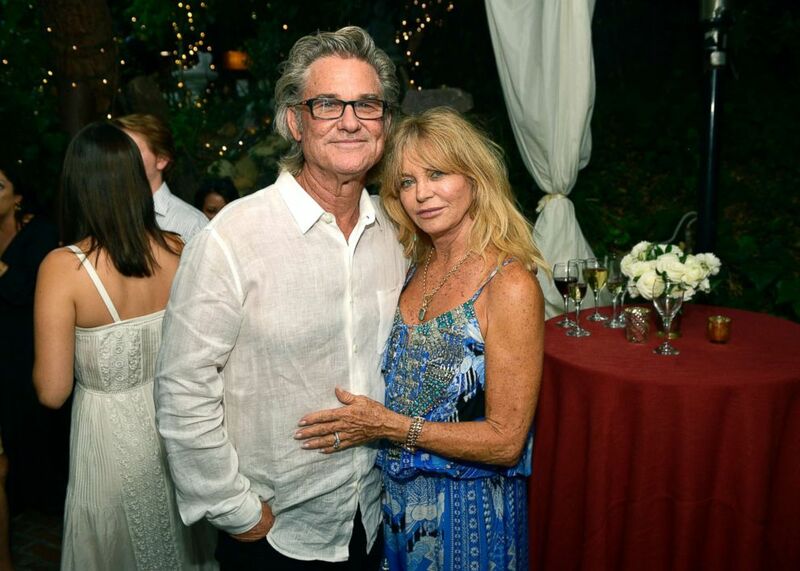 (Matt Winkelmeyer/Getty Images, FILE) Kurt Russell and Goldie Hawn attend the "Wild Wild Country" filmmaker toast at Inn of the Seventh Ray, Aug. 4, 2018, in Topanga, Calif. The couple got together in 1983 and years later co-starred in the 1987 classic "Overboard." Hawn said her and Russell, "don't have a perfect relationship." "Sometimes I get mad and sometimes Kurt gets mad. It's normal. Continuing to listen and grow is important because we get into bad habits in relationships. We're cognizant of these things in our relationships, being mindful and caring and listening," she said. Sometimes it's your actions that speak volumes. Elton John announced last year that he would give up touring to spend more time with his family. His husband, David Furnish, spoke to ET about the decision to give up something the music icon loves so much. "It was a bittersweet decision to give up something you love but there is that greater love waiting for him at home. 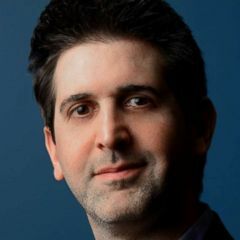 And on a selfish note, I couldn’t be happier," Furnish said. In December, John wrote a touching note on his anniversary, "Thirteen wonderful years with my civil partner and now husband. Happy Anniversary and thank-you @davidfurnish."